To get started, navigate to the 'Reports' page under Capitalization. Select the information you'd like to include in your report. The three selected tabs are most commonly checked. Each checkbox you select will be included in a tab in your report. Enter the effective "as of" date for your report, then press "Export" to begin your download. 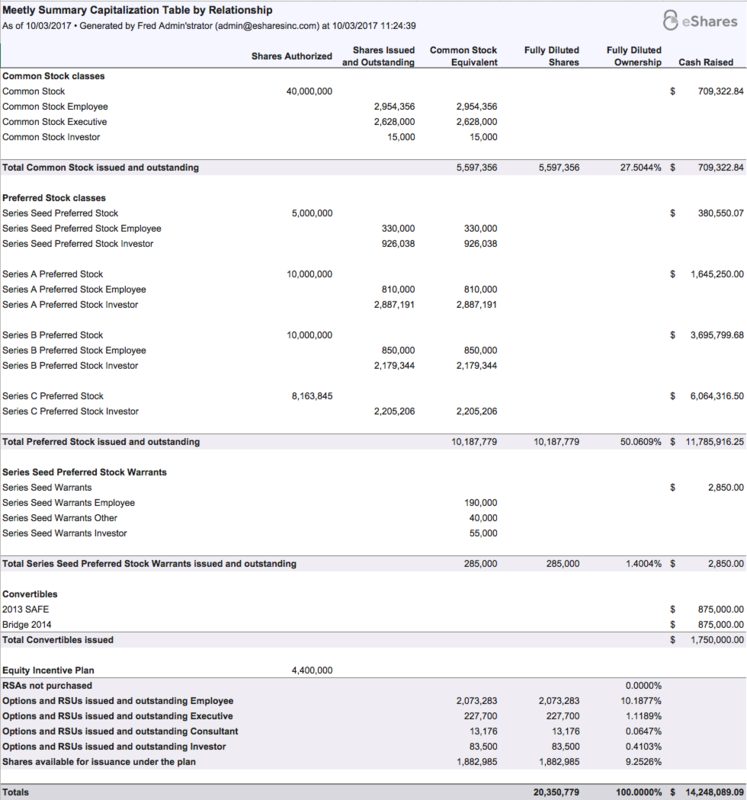 Your summary table includes a high-level overview of the issued and authorized shares, broken down by share class. 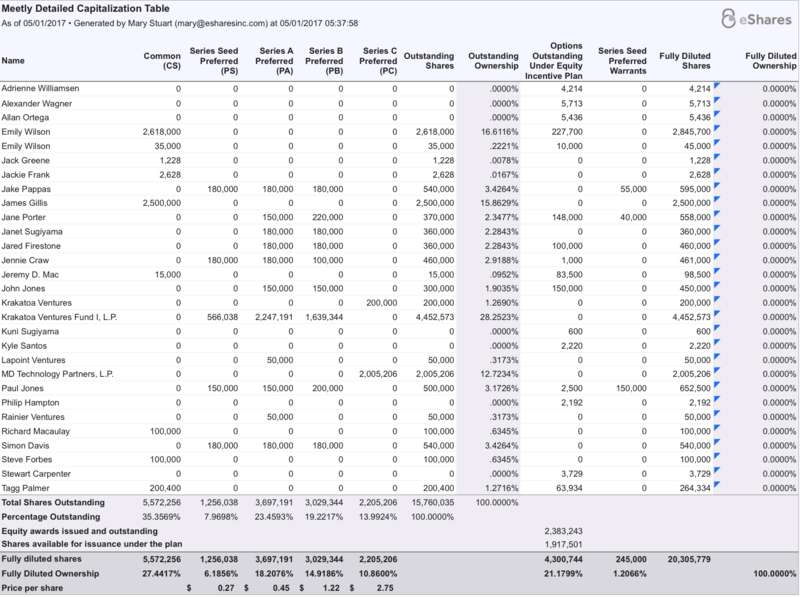 No individual shareholders are visible in the summary table. 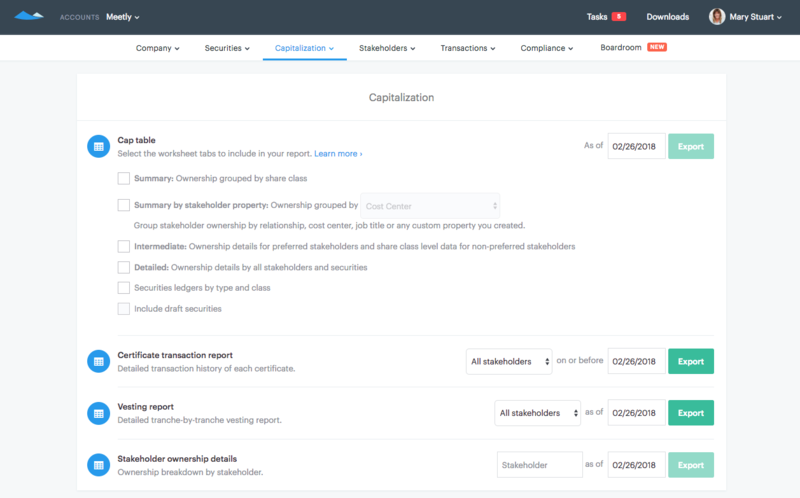 Your summary table by the desired property includes a grouped overview of the issued and authorized shares, broken down by shareholder's property like "cost center", "relationship", "job title", etc. 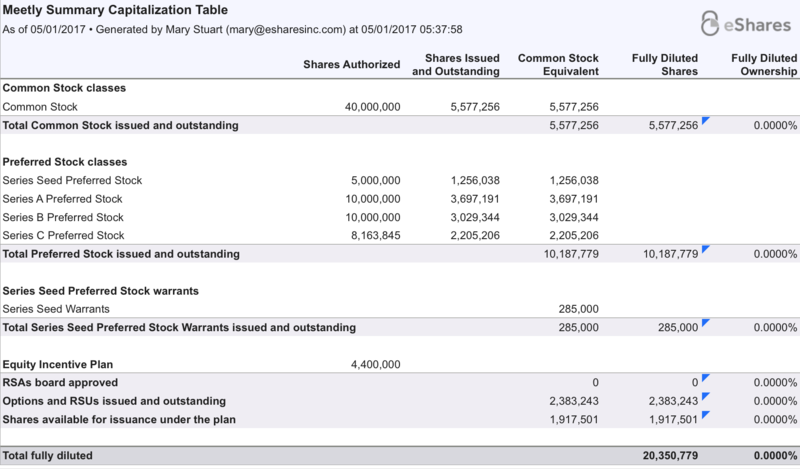 Detailed ownership includes the share quantity of each shareholder and option holder, separated into outstanding and fully diluted counts. We also provide the ownership percentage based on these counts. A ledger contains the full listing of certificates, options, warrants, and convertible notes. We include information like shareholder name, email address, quantity, price, notes, and more. If you include drafts in your report, they will show up in red. NOTE: If you do not initially see the Drafts in the cap table report, double check the issue/grant date fields of the drafts as it may be dated after the report date.